After leaving the Incident Command Post at the Legion Lake Fire December 13, 2017 I recorded part of the journey along Hwy 16A back to Highway 79 in the Black Hills of South Dakota. The fire has burned about 47,000 acres as of December 13, 2017. You will see patches of snow on the side of the road and at 5:46, deer. The Legion Lake Fire December 13, 2017 along Hwy 16A. The north end of the Legion Lake Fire did not move much Wednesday because much of it, especially after burnout operations, is bordered by highways — 87 and 16A. In addition, the northwest wind tends to keep it from spreading north or west. 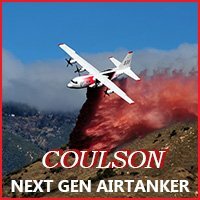 At least one large air tanker dropped five loads of retardant on the south end of the fire Wednesday near Fusion Canyon. At about 5 p.m. the fire spotted across the retardant but a dozer and engine crews were able to stop the additional spread north of 7-11 Road. Retardant drop on the Legion Lake Fire, December 13, 2017 by Tanker 101, an MD-87. Photo by Rob Powell. Burnout operations continue near Blue Bell Lodge, the State Game Lodge, and near the dormitories at the northeast end of the Wildlife Loop. On Wednesday a firefighter experienced a medical condition and was transported off the fire by a Lifeflight helicopter. No other information is available. The incident Management Team reported Wednesday afternoon that the fire has burned 47,312 acres. That figure is based on a very rough, quick and dirty map of the perimeter. If the fire does not grow very much after Wednesday afternoon, it is likely that the acreage figure will decrease when there is time for more accurate mapping. The weather forecast for Thursday still features strong north-northwest winds of 13 to 21 mph gusting near 30 with the relative humidity mostly in the 40s. The next significant chance for precipitation will be Saturday — 40 percent chance of receiving about 0.03″ of rain or 0.2″ of snow. A large proportion of Custer State Park has burned (I’m guessing 30 to 60 percent), and the park is asking for hay donations. Below, is an update on the fire, December 13 at 2:00 p.m., from Travis Lipp, Operations Section Chief on the Rocky Mountain Blue Team. Today after leaving the Incident Command Post I recorded a video of part of the journey along Hwy 16A; “Driving through the Legion Lake Fire”. The Legion Lake Fire exploded across Custer County in South Dakota Tuesday night burning out of Custer State Park, through the east side of Wind Cave National Park, and reaching Highway 79 before the forward progress was halted by firefighters working through the cold, windy night. The fire was pushed by predicted strong winds gusting well over 35 mph out of the north-northwest. Combined with relative humidity in the teens and twenties the fire spread quickly past the Blue Bell Lodge, French Creek Horse Camp and down Lame Johnny Road in the middle of the night. Evacuations were ordered in those areas as well as Buffalo Gap and Fairburn. Some firefighters who were en route home after working on the fire all day were called back to protect structures. Numerous fire departments from across the Black Hills sent personnel and equipment in an effort, apparently successful, to save homes. Highway 79, the main route from the south into Rapid City, was closed during the night and was still closed at 8:45 a.m and was open after 11 a.m.. Wednesday from Hermosa to Maverick Junction east of Hot Springs. The two dirt roads in Wind Cave National Park, NPS 5 (aka Red Valley Road) and NPS 6, are closed. Highway 87 is open in Wind Cave, but closed in Custer State Park. The portion of Highway 16A in the state park is also closed. A gallery of 14 photos of the large air tankers at Rapid City that may be used on the fire is at Fire Aviation. Jeni Lawver, a spokesperson for the Blue Type 2 Incident Management Team, said multiple outbuildings, but no residences, were destroyed. Firefighters were able to protect the structures at Blue Bell and the State Game Lodge. The IMT estimates the fire now encompases 35,000 acres but as of 8:15 a.m. they had not been able to accurately map the fire. Satellite data from 2:49 a.m. Wednesday indicates the approximate size is over 41,000 acres. 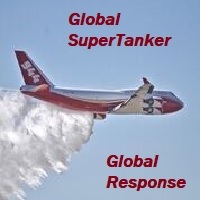 Today the two large air tankers that have been staged at Rapid City will be used if needed, Ms. Lawver said. As you can see in the map below, by early Wednesday morning at 2:48 a.m. the fire had burned from the Legion Lake area to the southeast, across the Wildlife Loop Road and the northeast section of Wind Cave National Park, reaching Highway 79 about five miles north of Buffalo Gap. The Incident Management Team reported at 9 a.m. that overnight the fire continued to the south reaching the 7-11 road east of Buffalo Gap, but still remained west of Highway 79 thanks to successful burnouts conducted by firefighters working through the night. The red line was the approximate perimeter of the Legion Lake Fire at 2:48 a.m. December 13, 2017 based on heat sensors aboard a satellite. The white line was the approximate perimeter about 24 hours before. Ranchers lost some fences in the area but all of the boundary fence on the east side of Wind Cave NP has been replaced in recent years with metal — steel posts anchored in concrete. It could be problematic if the bison in Wind Cave escaped and mixed with cattle, potentially ruining the genetic purity of the animals in the park. The Legion Lake Fire burns through the east side of Wind Cave National Park at 12:07 a.m. MST December 13, 2017. Wednesday morning a nearby weather station was still recording strong winds gusting at 22 to 30 mph out of the north. The forecast for the fire area predicts continued unfavorable weather for firefighters on Wednesday — 14 to 20 mph winds gusting out of the northwest at 20 to 29 mph with relative humidity in the 20s. The wind should decrease Wednesday night but resume early Thursday morning with gusts from the north above 30 mph and humidity in the 40s. Click on the pictures to see larger versions. Captions are at top-left. Above: The southwest side of the Legion Lake Fire as seen from Mt. Coolidge Tuesday afternoon December 12, 2017. Note the snow still left along the road. 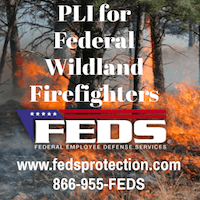 Firefighters from around the Black Hills responded to the Legion Lake Fire Tuesday night to help provide structure protection as the fire ran to the south and southeast pushed by increasing winds. Areas being threatened include Blue Bell, the Horse Camp northeast of Blue Bell, and Lame Johnny Road. The fire has spread out of Custer State Park into the Lame Johnny Road area. At about 10:30 p.m. a portion of Highway 79, the main route south of Rapid City, was closed by authorities. All residents on Lame Johnny Road should plan for immediate evacuation. Highway 79 from Maverick Junction to Highway 40 is now closed. The town of Fairburn has also been put on pre-evacuation notice. Between 8 p.m. and 10 p.m. a weather station in the area recorded sustained winds at 13 to 20 mph gusting above 30 mph and relative humidity in the teens. Less than an hour after we posted the information farther down at 6:35 p.m. on Tuesday, we learned that several local fire departments are sending firefighters to the Legion Lake Fire to help deal with the rapidly expanding fire and protect structures. Tuesday evening the east side of the fire developed a rapid rate of spread to the southeast threatening structures. The Incident Management Team is hoping they can stop it at the Wildlife Loop Road, but the strong wind will present a challenge. A weather station southeast of the fire started recording increasing wind speeds at 5:18 p.m. on Tuesday, with sustained winds of 14 to 17 mph gusting at 24 to 34. #LegionLakeFire activity has greatly increased due to high wind gusts. It is believed that this has taken place in the French Creek Natural Area with spotting up to one half mile east of the fire flank. Due to smoky conditions, firefighters are challenged to know the exact location where the fire has spotted. Firefighters are currently on the ground assessing the situation and structure defense resources are en-route. We will continue to update you with fire information as we receive it. Custer County Sheriff’s Office is in the process of evacuating residents at risk east of the Custer State Park boundary near Wildlife Loop Road and LH Road. Please call Custer County Dispatch for evacuation information at 605-673-8176. On Tuesday for the first time, firefighters on the Legion Lake Fire east of Custer, South Dakota had access to an aircraft and the smoke cleared long enough to more accurately map the fire from the air. They found that it now covers about 4,000 acres. The Incident Management Team led by Incident Commander Rob Powell has developed a strategy of removing the fuel ahead of the fire by burning it in a controlled manner from available roads. This will increase the size significantly, quadrupling it to about 15,000 to 16,000 acres, Mr. Powell said Tuesday afternoon. There are several reasons for choosing this strategy. Strong winds are in the forecast Tuesday night through Thursday evening — 16 to 24 mph gusting up to 33 mph. The sooner the firelines are secured by burning, the better the chance of making it through the wind event unscathed. The access into the area where the fire is burning now is very limited. There are some two-track roads, but they are too narrow for a vehicle to turn around, pass an oncoming vehicle, or park off the road. This would make it unsafe to commit people to those locations. 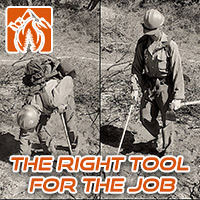 Finding highly skilled hand crews, such as Type 1 Hotshot crews, is extremely difficult in December, especially with the huge Thomas Fire threatening thousands of homes in Southern California. 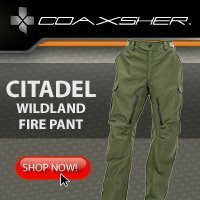 This would make it very difficult to construct hand fireline on the fire edge around the entire fire. The red line shows the estimated location of the perimeter of the Legion Lake Fire Tuesday afternoon. Map by the Incident Management Team. Click to enlarge. On the south side the plan is to use Rimrock and Ridge Roads, while on the east, Dry Creek Road and the Wildlife Loop are the targets. Firefighters on Tuesday were busy implementing the burnouts along Highways 87 and 16a. A fresh shift will take over around sunset and continue the burnout all night. Firefighters burning out from Highway 87 on the Legion Lake Fire Tuesday afternoon. Click to enlarge. Above: The Legion Lake Fire, looking south at 1:16 p.m. MST December 11, 2017. The spread of the Legion Lake Fire 6 miles east of Custer, South Dakota slowed overnight as the strong winds from Monday decreased. The fire has forced the closure of the park and the evacuation of the Blue Bell Lodge on Highway 87. It started near the Lodge off Highway 16A just before 8 a.m. Monday and was pushed southeast by winds gusting up to 53 mph. By 4 p.m. the wind had decreased to 4 mph and remained between 1 and 8 mph through the night. The suspected cause is a power line hit by a falling tree near the Lodge. Monday afternoon fire personnel said it had burned 2,500 acres. Our very unofficial estimate based on satellite data is that by 3:06 a.m. Tuesday the fire had covered between 2,500 and 3,000 acres . The wind Tuesday will be a little stronger than was predicted Monday, and should be out of the northwest at 9 to 13 mph. The relative humidity will hover around 20 percent by the afternoon and the temperature should be in the high 50’s under mostly sunny skies. Tuesday night and Wednesday firefighters will be challenged by strong winds again — 17 to 24 mph out of the northwest gusting over 30 mph. 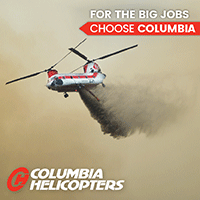 Two large air tankers and a lead plane will be available at Rapid City beginning at 8 a.m. Tuesday. A helicopter has also been ordered. No aircraft were used on the fire Tuesday other than a quick orbit or two by the lead plane as it arrived late in the afternoon. Map showing the approximate perimeter of the Legion Lake Fire in Custer State Park in South Dakota at 3:06 a.m. MST December 12, 2017. The fire is burning south of the Legion Lake Lodge on both sides of Badger Clark Memorial Road. It is east of Highway 87, and has reached Heddy Draw. The Legion Lake Fire in Custer State Park in the Black Hills grew to 2,500 acres Monday afternoon, said Scott Jacobson, a spokesperson for the Black Hills National Forest. A Type 3 Incident Management Team with Incident Commander Rob Powell is on scene and Jay Esperance’s Type 2 IMT has been ordered. The fire is south of Highway 16A about halfway between Custer and Hermosa. Two large air tankers (including Tanker 101, an MD-87), an Air Attack aircraft, and a lead plane should have arrived at Rapid City late Monday afternoon. T-101 was at there by about 3:30 but was waiting for a lead plane to work with him. The Incident Commander said that at that moment there was no assignment for the air tanker and the second one that was en route, and do not load them with retardant. They were told to be available for missions at 8 a.m. Tuesday. A helicopter is also on order. Four 20-person Type 2 hand crews were ordered Monday morning. 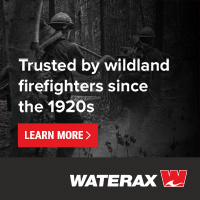 Typically this time of the year no firefighting aircraft are on duty in South Dakota, and it can be difficult to find them anywhere in the country. But quite a few were rounded up last week for the wildfires in Southern California. At 4:50 p.m. Mr. Jacobson said 30 engines and a total of 200 personnel were assigned to the fire. The strong winds that caused the fire to spread so quickly on Monday will decrease overnight and will be from the west or northwest at about 6 to 8 mph Monday night and Tuesday. The relative humidity Tuesday will be about 20 percent and the temperature will reach 56 degrees. Tuesday night and Wednesday will be quite windy, 15 mph out of the northwest with gusts at 25 to 28 mph. In light of that forecast, firefighters should be able to make good progress on Tuesday before the winds hit again the next day. Map showing the approximate perimeter of the Legion Lake Fire in Custer State Park in South Dakota at 1:07 p.m. MST December 11, 2017. The Legion Lake Fire was reported near the Legion Lake Lodge in Custer State Park in the Black Hills of South Dakota just before 8 a.m. MST on December 11, 2017. By 10: 20 a.m. it had burned an estimated 1,000 acres about 6 air miles east of Custer. 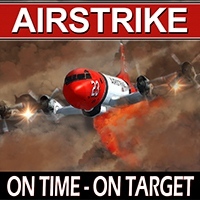 A Type 3 Incident Management Team has been ordered. Portions of highway 16A and 87 are closed. There has been very little precipitation in the Black Hills during the last month or so. At 9:18 a.m. MST today a weather station a few miles southeast of the fire recorded 45 degrees, 20 percent relative humidity, and winds out of the north at 22 mph gusting to 45.